Nevada voters approved “recreational” marijuana in the fall of 2016 through a ballot initiative dubbed “Question 2,” and the official grand opening of the retail marijuana market began on July 1, 2017. By all accounts, business is booming for Nevada’s marijuana cultivators, production facilities, and retail stores. Marijuana businesses in Nevada face steep tax rates that depend on whether the product is grown and sold as medical marijuana or recreational marijuana. In just five months – from July 1, 2017 to November 30, 2017 – the total excise tax revenue generated by Nevada sales of marijuana totaled $24,610,011. This amounts to an average excise tax of $4.92 million per month solely generated by the marijuana industry. There is no question that marijuana is becoming big business for the State of Nevada. And yet questions loom ahead regarding Federal enforcement of marijuana laws, which include banking, cash handling, and Federal income tax challenges; marijuana remains an illegal controlled substance under Federal law, and banks and financial institutions who accept accounts from marijuana businesses are subject to a long list of Federal regulations. For help navigating these regulations, contact your local Las Vegas tax law attorneys at Silver Law PLC. On February 14, 2014, FinCEN issued its own marijuana specific guidance, attempting to clarify expectations for financial institutions seeking to provide services to marijuana-related businesses: specifically, “This FinCEN guidance clarifies how financial institutions can provide services to marijuana-related businesses consistent with their BSA obligations . . . This FinCEN guidance should enhance the availability of financial services for, and the financial transparency of, marijuana related businesses. “ See https://www.fincen.gov/sites/default/files/shared/FIN-2014-G001.pdf. The 2014 FinCEN Memo instructed financial institutions to assess the risk of providing services to marijuana-related businesses by conducting due diligence, including: (1) verifying and reviewing state licensure and application documents; (2) developing an understanding of the normal and expected activity for the business, including the types of products to be sold and the types of customers to be served (e.g., medical versus recreational); (3) ongoing monitoring of publicly available sources for adverse information about the business and related parties; and (4) ongoing monitoring for suspicious activity. Most importantly, the FinCEN memo said this: “Because federal law prohibits the distribution and sale of marijuana, financial transactions involving a marijuana-related business would generally involve funds derived from illegal activity. Therefore, a financial institution is required to file a SAR on activity involving a marijuana-related business (including those duly licensed under state law) in accordance with this guidance and FinCEN’s suspicious activity reporting requirements and related thresholds.” The memo then sets forth different types of SARs required by financial institutions choosing to provide services to marijuana-related businesses, depending on whether the institution believes the business is violating one of the Cole Memo priorities or state law. However, in no uncertain terms, under Federal law, a bank must file a SAR whenever it conducts a transaction with a marijuana-related business. Given that most banks don’t want to undertake the risk of banking with marijuana businesses nor undertake the extra regulations required to comply with FinCEN’s requirements, the marijuana industry is flush with cash. Growers have resorted to burying cash underground, and retailers have installed massive walk-in safes, implemented sophisticated security systems, and purchased unmarked armored vehicles for cash transportation. It is undeniable that large amounts of cash pose serious problems for the safety of marijuana businesses, their employees, their customers, law enforcement, and local communities. Section 61(a) of the tax code defines gross income as “all income from whatever source derived. And taxpayers must report all gross income and pay taxes accordingly. Gross income is broadly defined and includes cash. Therefore, despite the difficulties of accounting for, tracking, counting, and storing cash – especially in light of banking challenges facing marijuana businesses – it is undisputed that marijuana businesses are required to properly report all of their income. It is also undisputed that the IRS can be extremely effective at tracing and tracking unreported cash income, especially when it obtains reports from FinCEN. Complicating matters with respect to income earned from marijuana sales is the fact that Federal law prohibits taxpayers from deducting business expenses or taking credits related to income from the sale of Schedule 1 or Schedule 2 controlled substances under Section 280E of the tax code. Section 280E was added to the tax code in 1982 after a cocaine trafficker sued the government over his right to deduct business expenses. Normally, taxpayers are entitled to deduct ordinary and necessary expenses paid or incurred during the taxable year in carrying on any trade or business. In this case, the government charged the cocaine trafficker with evading taxes on his income from the sale of cocaine; cleverly, he argued he was entitled to deduct the expenses of selling that cocaine in an attempt to reduce his tax burden. The government disagreed with this claim and eventually codified the ruling in the tax code at 280E so that no one else would try to make the same argument. Attempts to fight this argument in Tax Court have not been successful. For example, the IRS audited Canna Care Inc., a California medical marijuana dispensary, and denied Canna’s deductions for operating expenses, including significant amounts for employee salaries and vehicle expenses. The company appealed the IRS’s findings to the United States Tax Court. Relying on section 280E, the Court upheld the IRS’s determination and denied all of Canna’s deductions. See Canna Care, Inc. v. Commissioner, T.C. Memo 2015-206. However, marijuana businesses are still entitled to claim expenses for Costs of Goods Sold (COGS). If you own a business selling marijuana Nevada, you need to work with an experienced tax lawyer near Las Vegas to understand your tax rights and responsibilities. The landscape is changing so quickly that you need a legal advocate on your side to help you navigate it all. If your business is audited and you don’t have detailed information about every single transaction, you risk forfeiting your COGS claim and you could be subject to penalties for filing an inaccurate tax return. 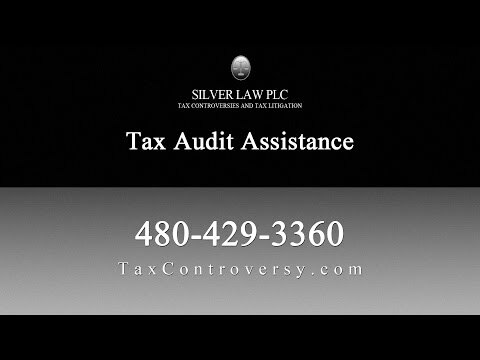 Silver Law PLC operates in Arizona and Nevada and all of its lawyer are former lawyers for the IRS. A tax law lawyer near Las Vegas from our team can help you understand how the complex tax code applies to your marijuana business operations. We’ll help you ensure that you are meeting your obligations. If you have been audited or are facing collections, our Las Vegas IRS Tax Audit lawyers also help you navigate that process. We can either find ways to bring down your tax debt or can negotiate a settlement for you. Call us today to talk with a tax lawyer and learn more.